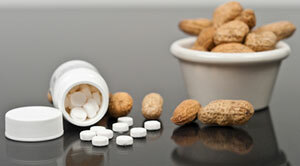 Food Allergies | Nashville Personal Injury Lawyers The Law Offices of John Day, P.C. For approximately 15 million Americans who have a food allergy, certain foods can cause an immune system reaction that can range from mild to severe. An estimated 4 to 6% of children suffer with food allergies and roughly 3 to 4% of adults live with food allergies. Tragically, an estimated 1,500 Americans die each year from reactions caused by food allergies. Of course, the best way for individuals to prevent an allergic reaction is to avoid the foods that trigger it. But, this is easier said than done because we often have to rely on others for food safety. Because cross-contact can cause a reaction in those with severe allergies, it is imperative for restaurants to follow proper kitchen protocols. Otherwise, a diner may accidentally ingest an allergen and have a serious reaction. In addition, children typically need help in avoiding allergens so parents must often rely on caregivers and schools to be vigilant about their child’s food allergies and to have appropriate procedures in place should a reaction occur. At The Law Offices of John Day, P.C. our award-winning attorneys are here to help children and adults who have been injured as a result of someone’s negligence in dealing with their food allergy. We handle all food allergy cases on a contingency basis so we only get paid if we recover money for you and your family. If you would like to discuss your food allergy case, please contact us online or call us at 615-742-4880 or toll-free 866.812.8787 to schedule a free, no-obligation consultation.